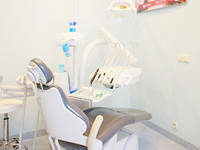 In our comfortable air-conditioned interiors, we offer comprehensive dental care with modern equipment, state-of-the-art treatment techniques and friendly professional staff of specialists. 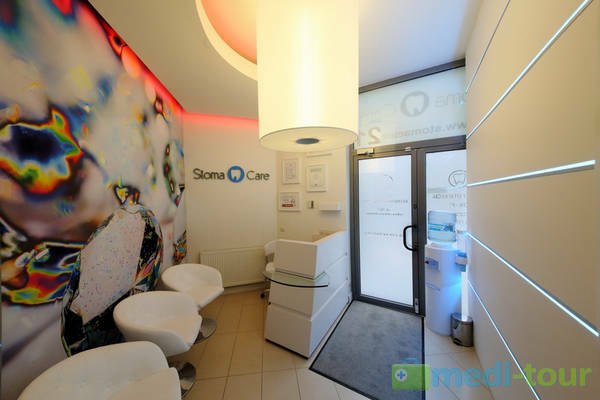 Individual approach to our patients, the highest quality and long-term effects of treatment are all guaranteed. Digital radiovisiography and the latest focal spot DC X-ray from Gendex. 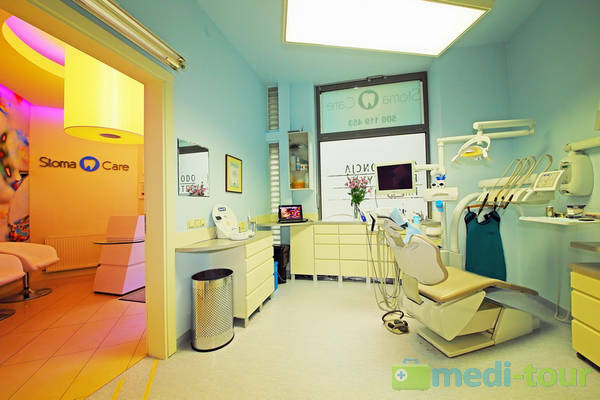 Its advantages include minimum radiation to patient and perfect focus in X-ray images. Diagnodent Pen – the most accurate yet simple, safe and painless method for laser caries detection. It allows early diagnosis of the following lesions: early caries, enamel demineralization, fissure or interdental caries. Rondoflexplus air abrasion system – enables painless treatment of caries saving the maximum amount of dental tissue. 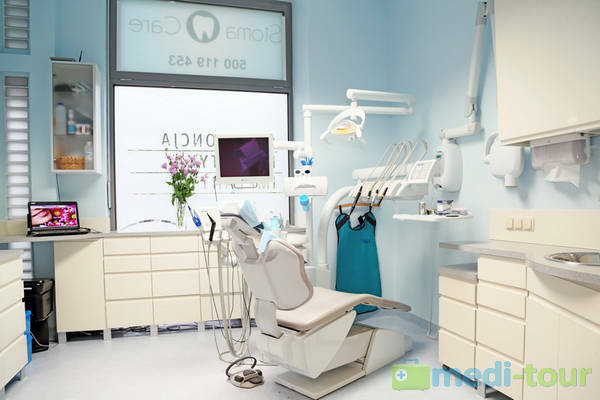 Treatment is performed without noise or drilling. It is pleasant for exceptionally sensitive patients, especially children. Our team includes young, open and innovative specialists who use the latest techniques of treatment. By building a professional and cooperative team, we take care of our patients from the very moment of our initial contact. 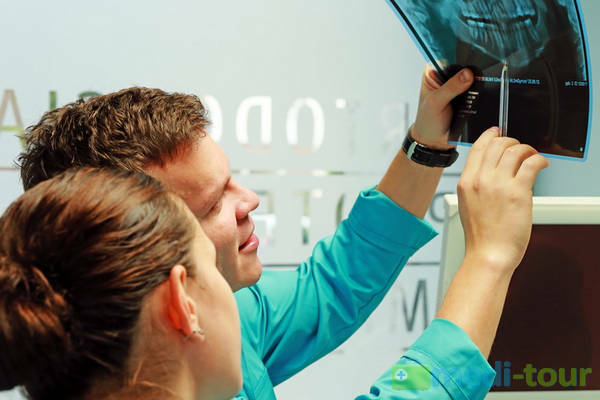 Every dentist in our office can assist you with comprehensive professional information and advice in the field of dentistry, prosthodontics or orthodontics. 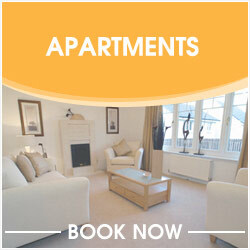 We provide pleasant and professional care in a cosy environment. We speak both Polish and English. 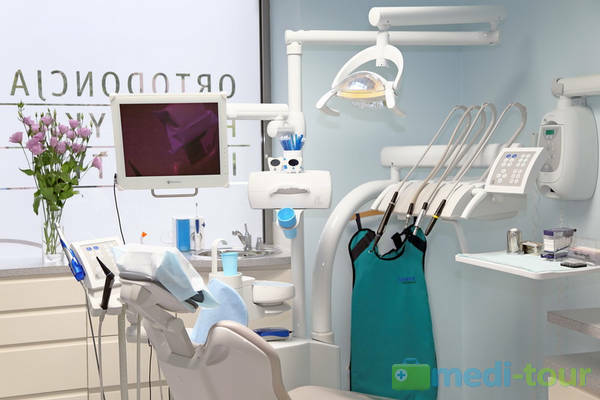 We use the best state-of-the-art medical equipment. For your convenience, we cooperate with insurance companies such as Interpolska, Medica Polska, Polmed and Scanmed Multumedis. We accept various payment cards and credit cards. She deals with orthodontic treatment of children and adults, has participated in numerous trainings and lectures on orthodontics. She has been systematically improving her skills. In her professional practice she uses modern treatment methods to prevent tooth extraction, e.g. self-ligating Damon-type braces and Clear Aligner appliances. For the last 7 years she has successfully treated hundreds of satisfied patients. "Constant pursuit of perfection" is her motto for daily work with patients. 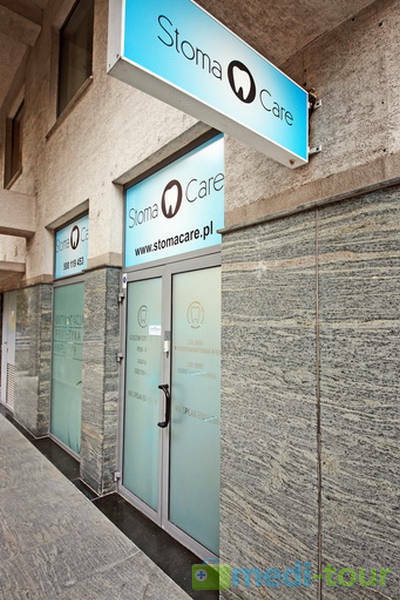 In Stomacare he deals with prosthetic, conservative and surgical treatment and prevention. 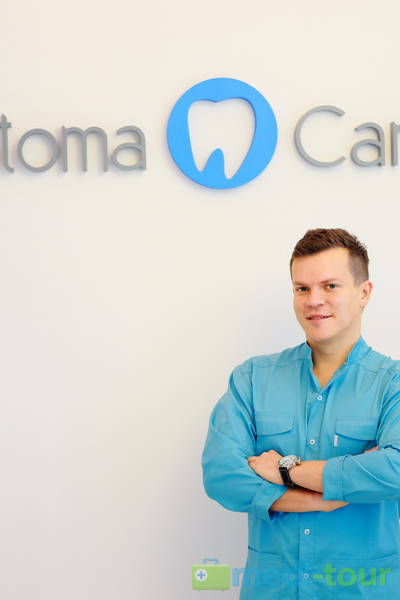 Since 2005, he has focused on prosthetic treatment with removable restorations (acrylic, acetal and frame dentures) and fixed restorations (crowns and porcelain bridges). He started aesthetic medicine treatments in 2007 which include: Botox injections and wrinkle filling with hyaluronic acid. 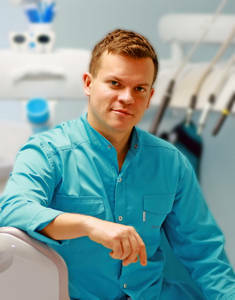 Since 2010, he has focused on the provision of PLATIN porcelain veneers without the need to grind teeth. He has successfully treated over 600 patients. He participated in over 40 professional trainings and is recommended as an excellent practitioner. "1. Health 2. Prevention 3. 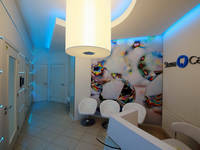 Aesthetics" – he uses these three simple steps in comprehensive patient treatment. 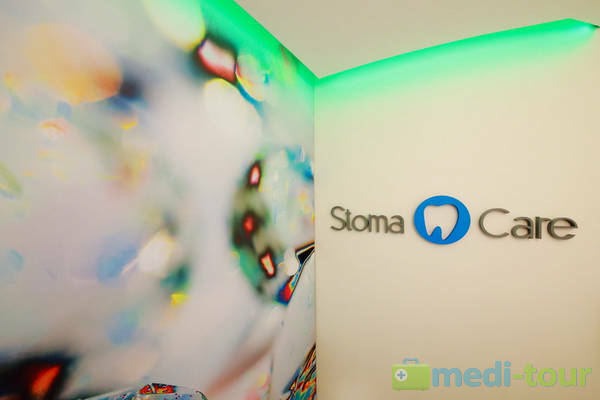 In Stomacare, she primarily engages in conservative dentistry and endodontics and is happy to treat both adults and children. 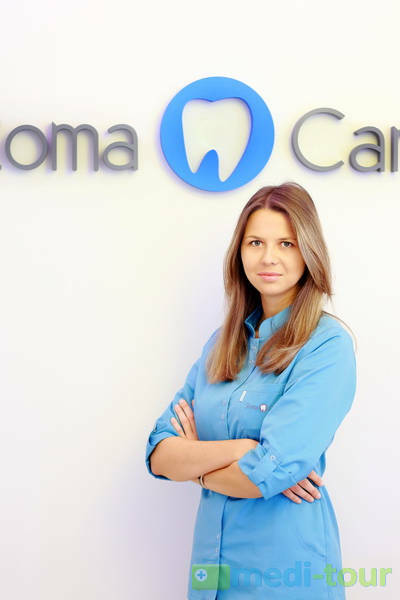 In order to improve the look of her patients' smiles she also explores the ins and outs of orthodontics assisting doctor Katarzyna Ratyńska-Afek. In order to provide her patients with the highest quality of treatment, she constantly improves her professional skills by participating in courses, trainings and conferences in the field of orthodontics, conservative and aesthetic dentistry and endodontics. Her strengths include openness, delicacy and accuracy. Therefore, a visit at the dentist’s is a real pleasure. 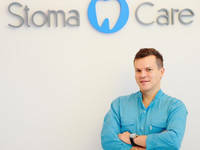 A specialist with extensive experience in the field of oral surgery and implantology. Thanks to his friendly nature and disposition, he can relieve tension associated with stressful surgeries. 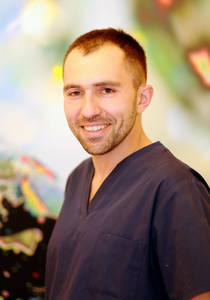 He has participated in numerous trainings in Poland and abroad related to implantology and osseous reconstruction. "Patient's satisfaction and comfort" are the priorities in his professional work. The brackets (elements glued to teeth) are silver-coloured with colour or clear ligatures (rubber bands). Sapphire (crystal) brackets are transparent and almost invisible, so the braces are even more discreet. An innovative technique of orthodontic treatment using Damon Clear braces. An innovative method for those who want to have aesthetic teeth without the need to wear fixed braces. Porcelain crowns on metal base (the crown’s metal is invisible and hidden under a porcelain layer). Ceramic crowns are totally metal-free, exceptionally aesthetic, naturally coloured, with no livid hues or visible metal seams at the gum. PLATIN veneers – the fastest way to beautify a smile. They make teeth look natural. They are extremely subtle and almost transparent. They do not require any tooth preparation (grinding). Dazzlingly white teeth in an hour due to the innovative Beyond Polus Power Whitening lamp. 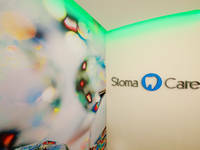 Stomacare joined the elite group of offices offering the most advanced whitening system. For early detection of caries lesions we use laser diagnostics with the DIAGNODENT device. 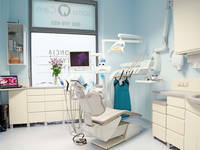 As one of the few offices in Poland, we use the latest equipment for minimally invasive treatment of dental caries, e.g. air scaler and air abrasion. These methods allow for the removal of caries saving the maximum amount of healthy dental tissue without the use of burs. 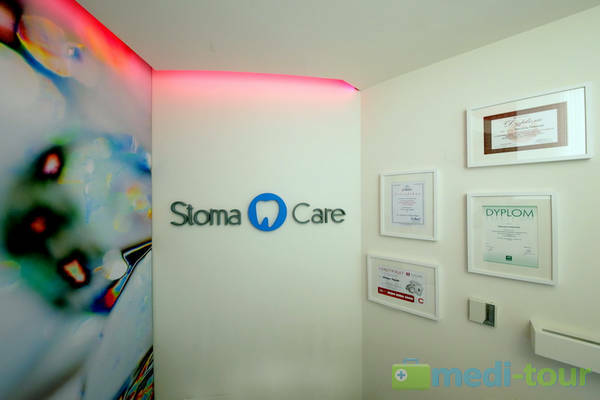 To satisfy even the most demanding Stomacare’s patients, we use fillings perfectly matched to our patients' natural teeth and some highly aesthetic materials from the world's best brands. 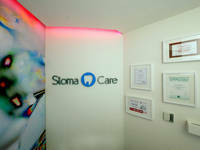 In Stomacare, we debunk stereotypes about dentists thanks to the experienced staff with a careful medical approach using modern methods of treatment to eliminate stress. 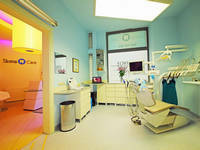 We make every effort, so that your child's visit at our dentist's is not a cause for tears but leaves pleasant memories. 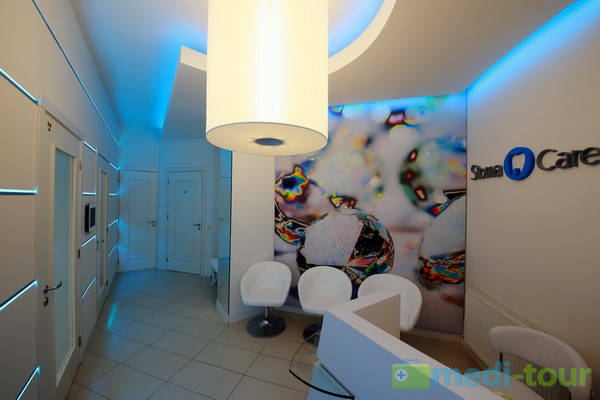 For your convenience, our clinic offers aesthetic medicine treatments. Deciding on anti-ageing treatments with us, you are bound to be served by experienced professionals. We work exclusively with preparations from reputable companies, e.g. Botox and Juvederm. A unique medicinal method in Stomacare! The essence of that revolutionary therapy is the use of Bernard’s diadynamic currents combined with galvanic current to stimulate the diseased and weakened organs. The method is fully safe and painless. Thousands of satisfied patients have already benefited from that method. 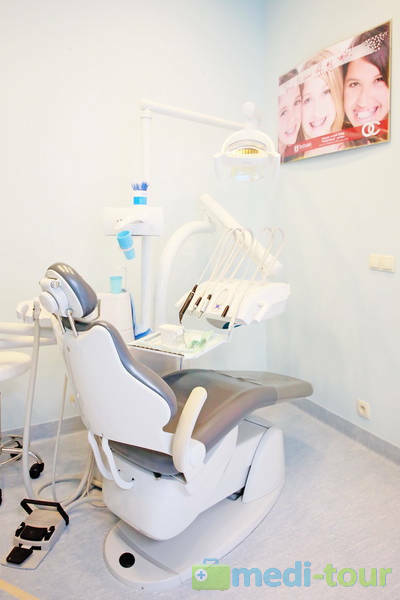 As the only dental clinic in Poland, we offer treatment of parodontosis and neuralgia, inflammatory conditions, neuralgic pains, thyroid diseases, venous thrombosis, infertility, allergies, asthma and degenerative lesions with the use of the innovative method of electrostimulation. 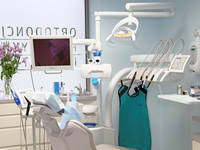 Our dental office is authorized and our team has taken certified training with doctor Zenni, the method’s author. A 40-minute session is recommended once a month in a series of at least five treatments. The effects are visible after 1–2 treatments. You are welcome to visit us!